In 1939 Mary Flower Holmes married Wesley Spanton Key, Wesley farmed River Farm, Honing, the Strumpshaw Hall Estate and had agricultural engineering garages in North Walsham and Strumpshaw. Wesley and Mary had a daughter Margaret Flower (Kiki) and a son James (Jimmy) who married Susan Williams in 1970 and had a daughter Rebecca and son William. 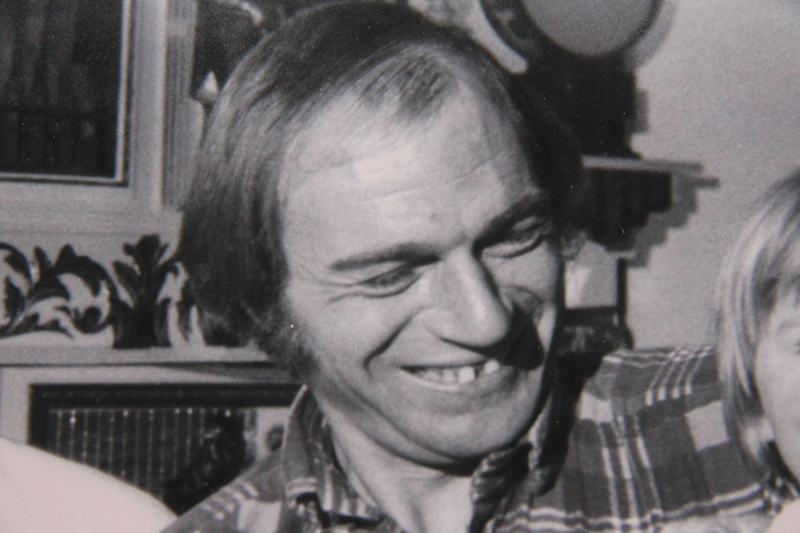 Wesley Key was an extraordinary man, a farmer, agricultural engineer, pilot and entrepreneur. He also had a love of steam. 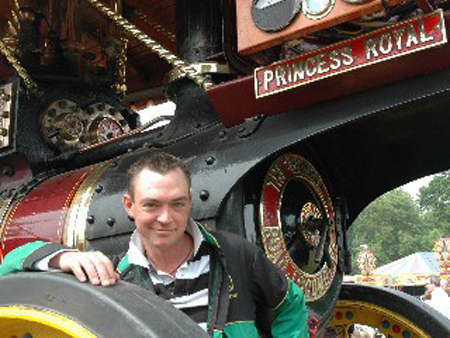 In the early fifties he started a private collection of steam engines. After constructing a large building at Strumpshaw he moved his collection from North Walsham to where the museum is now. The collection remained private until the mid-sixties when he opened it to the public. He then brought the steam rally to Strumpshaw in 1968 and continued to run it as an annual event until his death in 1995. 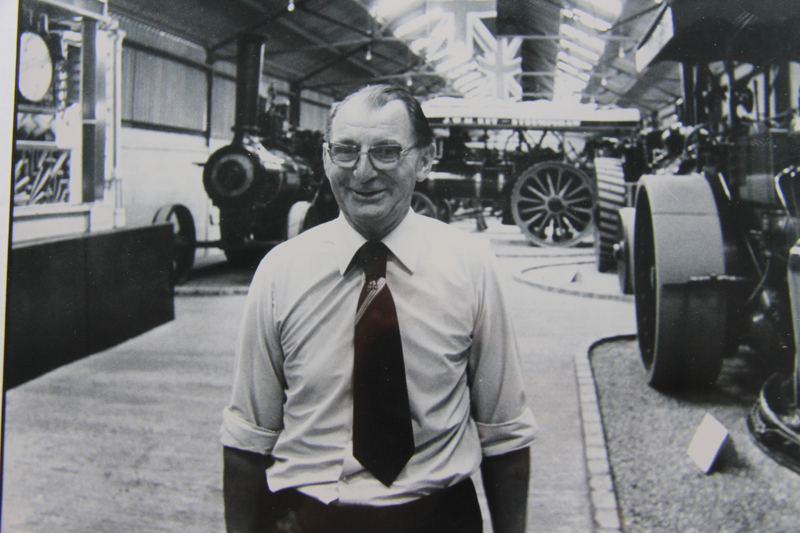 On the death of his father Jimmy carried on with farming and the museum, and kept bullocks and pigs before converting the original stable buildings and cart and bullock sheds and yards into Strumpshaw Hall Livery centre. In the museum Jimmy continued to expand and diversify bringing in Fairground equipment and memorabilia to the museum. A new building was now required to house all the new exhibits; Jimmy did this with a faithful band of volunteers. His sister Kiki was at all times very supportive and described by Jimmy as his "Rock". He acquired an Orton & Spooner fairground ride called the Ark and set about restoring it. Today that ride is completed, again thanks to the volunteers. Sadly Jimmy died in 2006 and the responsibility for the museum then fell to his son William. William had the task of carrying on the traditions of his father and grandfather's success but he had good teachers and in the winter of 2014 a major revamp was the order of the day. Exhibits were grouped together and his grandfather's initial layout was restored. Volunteers were brought together and their ideas helped to make what the Old Timers declared was up to Wesley and Jimmy's high standard. Again Kiki was always there to help and give advice. William died in October 2015 at a very young age having struggled with problems most of his adult life. The task of keeping up the traditions of the museum and rally then fell to Kiki and her husband Kurt. No stranger to this environment, Kiki continues with the in-house improvements and development. 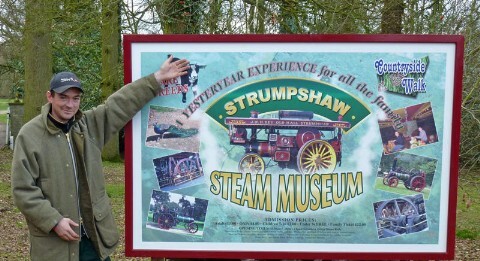 Wesley Key, the founder of Strumpshaw Steam Museum.